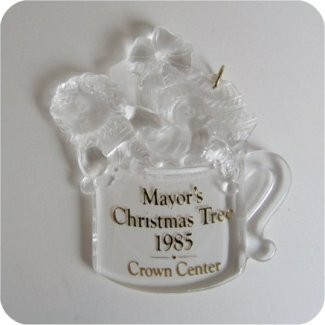 This ornament was part of Clara Johnson Scroggins personal collection. She affixed her address label on the back of the box. The ornament is mint, box is slightly damaged.